I’ve got this friend. A woman. I’ll call her “Liz.” Liz didn’t marry until her late thirties. The divorce came at the end of the first decade of marriage. 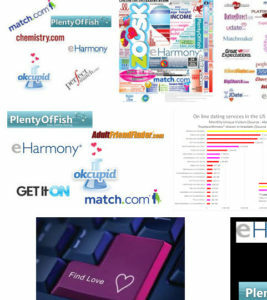 She became what is known as a serial dater; a member of many online dating sites. But not from choice. See, she’s a romantic at heart. She believes in true love. She believes in that one and only. The knight in shining armor. Who’ll love her, only her. That she can love deeply, sincerely, thoroughly. Thus her dating has been full of adventures, some wonderful. But most with high hopes dashed on the cruel rocks of expectations postponed. Liz: I had such high hopes. Me: Do most of your boyfriends last two months? Me: Sure! Look, I’ll ask you in two years if PBF-R has become BF-R*. If your answer is “Who is R?”, then you’ll have saved yourself a lot of heartache. So, I put a two-year reminder into my phone and on my physical desk calendar to ask her about R. I have no doubt her answer will be, “Who?” Then again, hope does spring eternal. In any case, we’ll both share a laugh. This entry was posted in Opinion and tagged dating, expectations, true love by Angela Durden. Bookmark the permalink.